like a daring prefix to your life. soft-skinned Jacob for my hands. a large sheet of happiness without memory. is a meeting point of a father and a son. squeeze a bar mitzvah for you. The poem fuses best the passionate tenderness and warmth between a father and son. Though the poem may have been written addressed to a son of age 12 or 13, I find its affection more appropriate than age. After all , our children never grow old for us. It’s a bar-mitzvah poem, a blessing (Bar mitzvah is Jewish rite of confirmation for a boy). 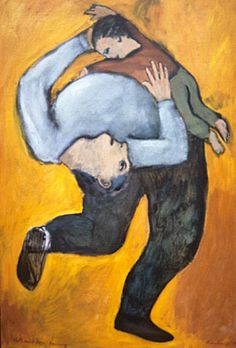 Amichai begs to kiss his son once more, “while you still love it,” while the boy is still a soft-skinned Jacob and before he becomes “a hairy Esau of open fields.” (Esau and Jacob were sons of Isaac as per the book of genesis. The elder Esau was of hairy features and was a hunter, a man of fields. Amichai’s poems are always full of religious allusions). The folded brain in the second stanza refers to the convolutions of the human brain, which are part of the cortex, the outer part that enables the higher functions. The folding is what lets us have such a large surface area packed into our heads. A simpler creature's brain isn't so deeply folded; it's more like a sheet. So the poet is suggesting that the same brain that enables our intelligence and consciousness also gives us the ability to be unhappy. In the final verse, the most beautiful in this poem, he offers his formal blessing, which turns into a universal one: evening falls, and the land is cooling, and “clouds that have never lain with a woman / pass overhead in the sky”; the desert is breathing, “and all the generations / squeeze a bar mitzvah for you.” Lucky son! 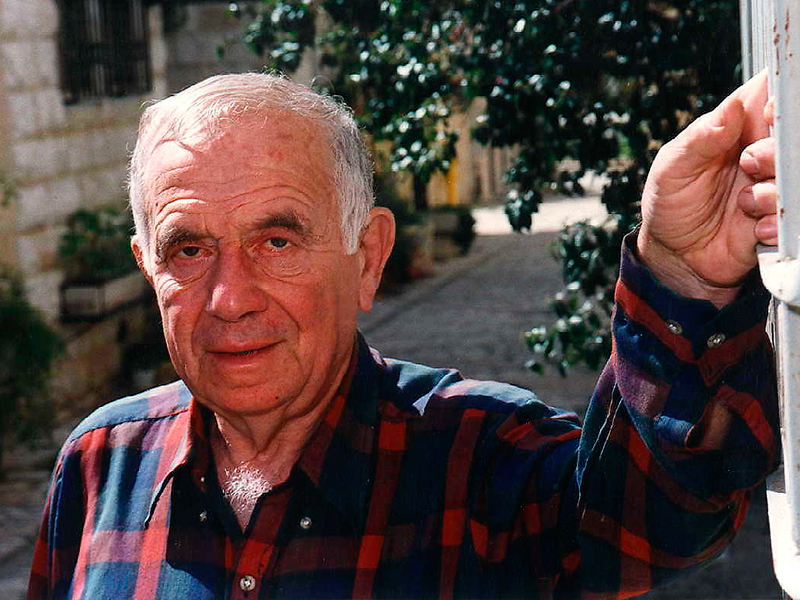 So many of Amichai’s qualities gather here: passionate tenderness and earnest warmth, sweet possessiveness—the eros of fatherhood—and that delicious, playful metaphorical reach, those clouds that have never lain with a woman. What would those clouds look like? The metaphor can’t be a visual similitude (although white, gauzy clouds could look somehow more virginal than heavy ones pregnant with rain). The metaphor—as similitude—almost “fails,” but it is blazingly successful in the context of the poem’s address to a young man who has not yet “lain with a woman.” And, of course, the diction gently picks up the Biblical thread of the reference to Jacob and Esau, a story that begins with a father’s blessing.